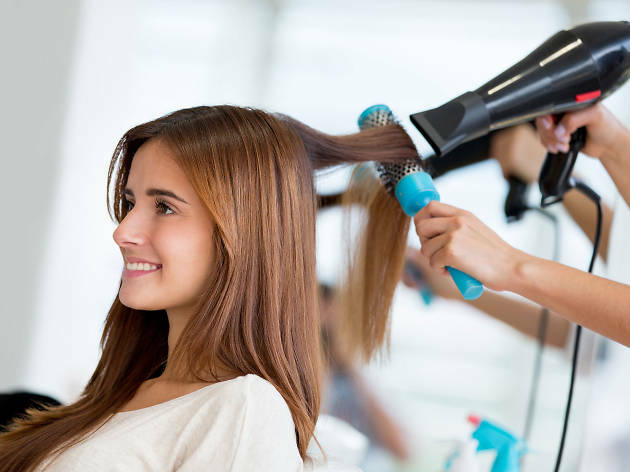 There’s no shortage of blow dry bars in our fair city, but that doesn’t mean you should entrust your mane to the first stylist with a blowdryer and a spare chair. 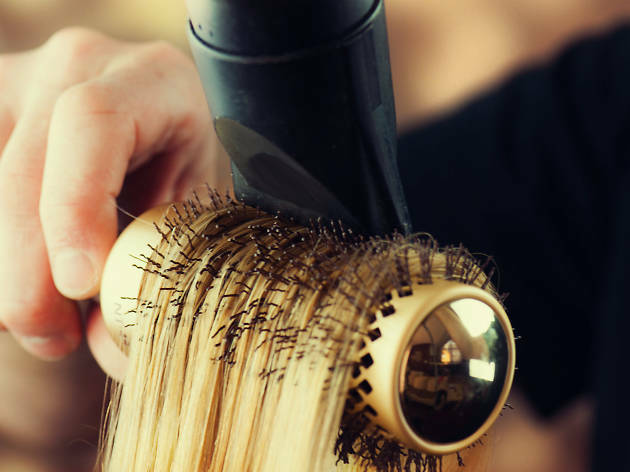 Though you can always book an appointment at most spas in NYC, we’re big fans of style-only spots that have totally mastered the art of the round brush. We’ve compiled a list of the top hairstyling meccas that offer the best blowouts (and the most wallet-friendly prices) in the city. 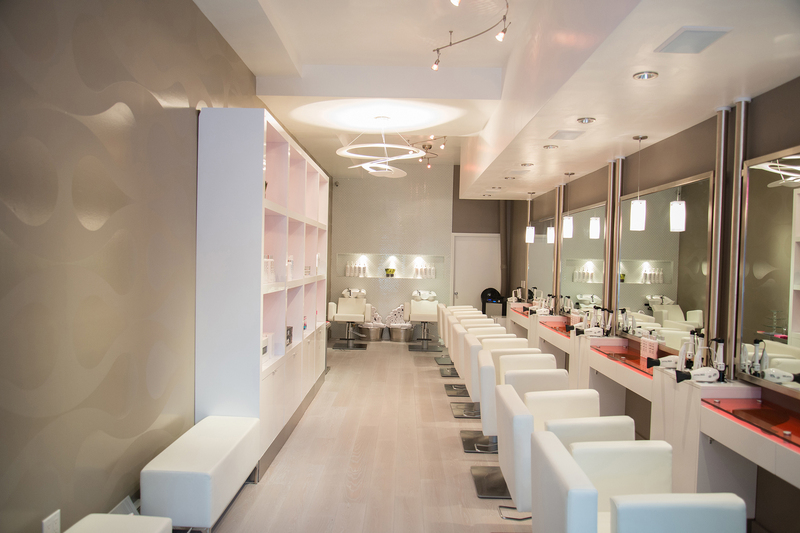 So, if you need to be sitting pretty for a special event, get your digits decked out at Gotham’s finest nail salons, your arches on-point at the best brow bars and score the perfect hair day thanks to a top-notch blow dry bar. Think of BDry as a one-stop shop for looking hot. Choose between six core blowout styles ($45) on iPad styling menus, then head right into makeup: The salon offers a basic eye look for $30 and a full face for $45. Patrons often come in with outfits on hangers, dress in the changing rooms after hair and makeup and leave ready to take on the night in looks that range from vampy to retro to classic. This year, the bar's also offering even more of an excuse to stop in: In April, it’s transitioning to a full-service salon and adding on all kinds of cut and color services. 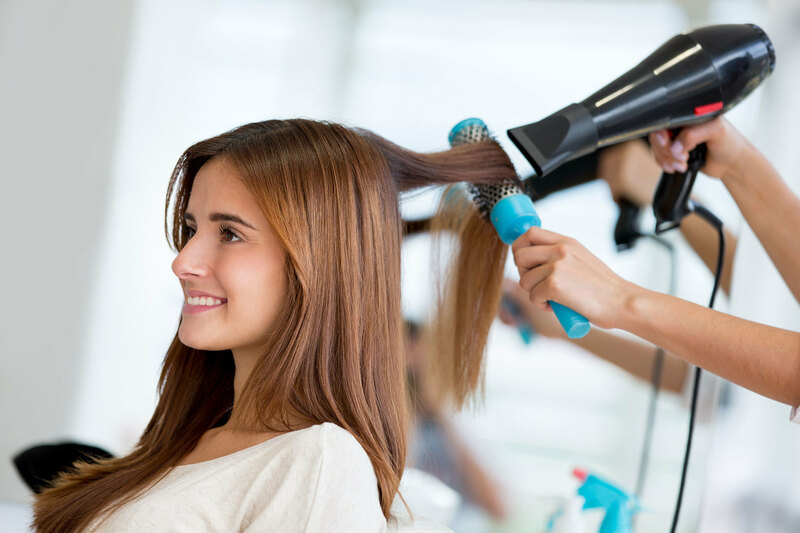 Although blowdry bars have recently become all the rage, this Canadian joint claims to have been the first when it debuted in Vancouver in 2007. 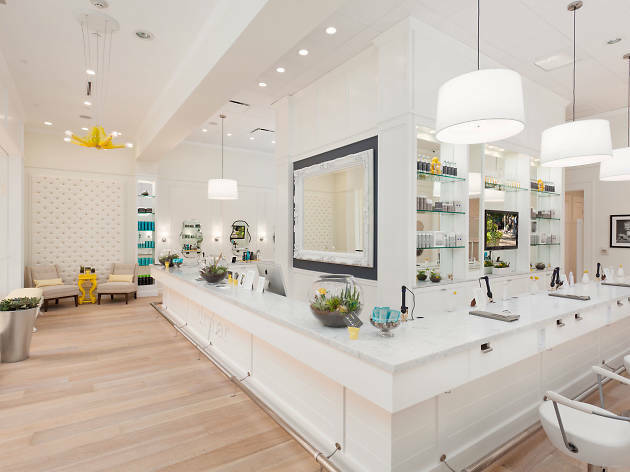 Guests are greeted with a complimentary glass of water or pink champagne before getting lathered with Unite (gluten-free vegan) shampoo at one of the two washing stations in the back. Blowouts are a $40 flat fee, regardless of hair length or texture, and you can choose from seven styles—illustrated in a fuchsia hardcover book—ranging from the pin-straight Executive Sweet and tousled Pillow Talk to the High Society topknot and Go Fish fishtail braid. There’s even one just for guys called the Blo Bro ($25), which includes a 20-minute scalp massage. A trip to this blowout spot lasts longer than a New York minute—and that’s a good thing. Blown Away has revived a certain kind of old-school neighborhood beauty shop, where ladies linger to laugh and gossip long after their hair’s done. Owner Danielle Juray wanted a salon with a more intimate, less-rushed vibe, so she opened the place just last year. 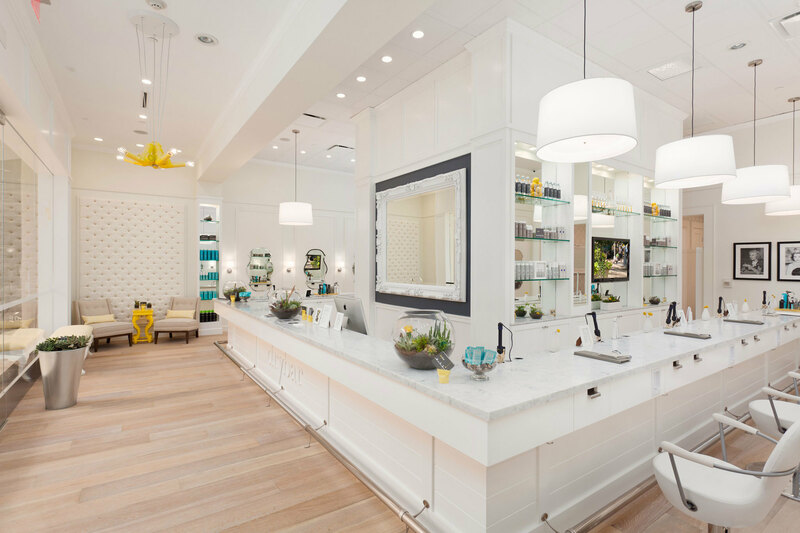 Patrons hang out and talk, sipping fruit-flavored water or mimosas and enjoying $30 blowouts—yep, that’s with tax and a wash included. 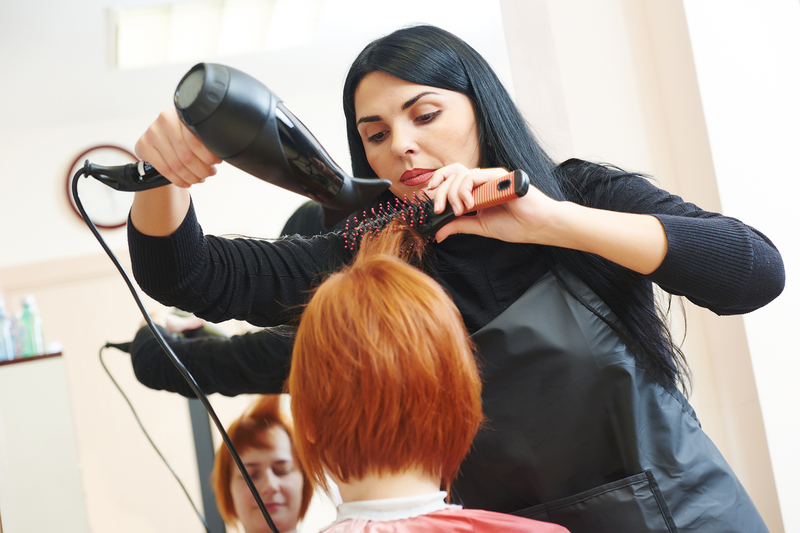 Add-ons such as updos and hair treatments are extra, and walk-ins are welcome (but appointments are preferred). Rachel Zoe's chain can't be beat for Hollywood-inspired blowouts ($40) executed in 40 minutes or less, and 20-minute express hairstyling ($30) that swaps the wash-and-scalp-massage for braids, topknots, chignons and ponytails created using dry shampoo. Each station is equipped with an iPad mini, loaded with the service menu and digital editions of the latest fashion mags. 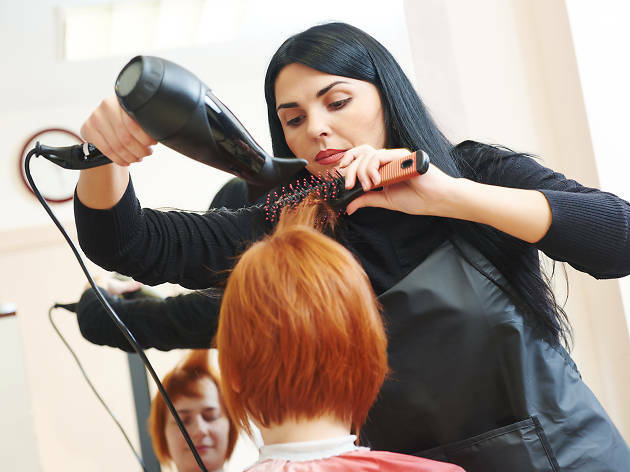 And though Manhattan has more than its fair share of blowout salons, the loyalty program is one of the salon's big drawcards—you earn a point for every dollar spent, which can go toward more treatments and products. 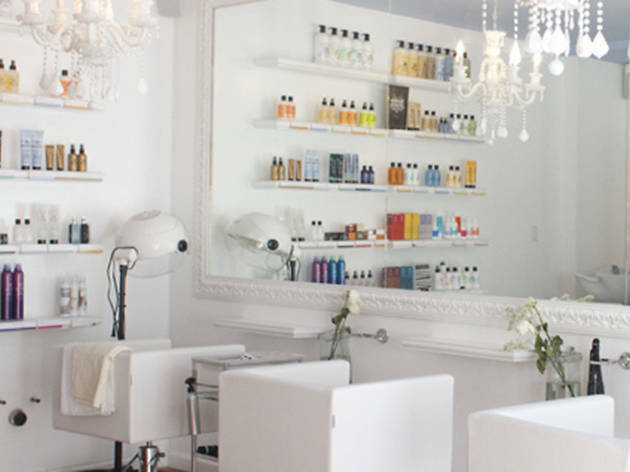 In 2008, Alli Webb started this L.A. chain as a mobile business, driving to people’s houses just to do their hair. Since then, the company has grown to 42 locations, eight of which are in NYC. 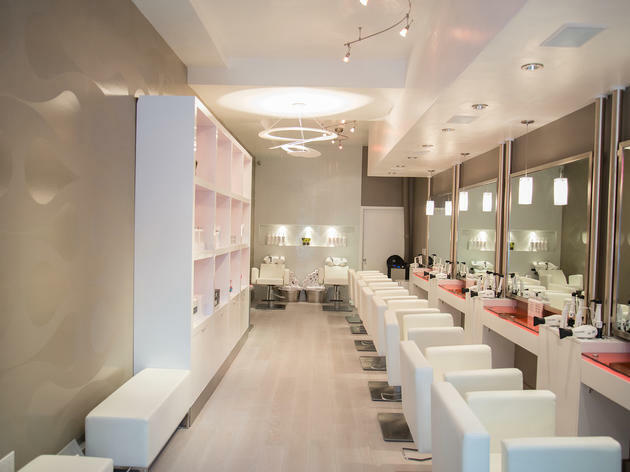 Blowouts ($40) are the sole service offered in-salon, which aim to make your 45-minute experience ultra relaxing with a complimentary glass of wine or champagne, plus rom-coms playing on flatscreen TVs. You can choose from six signature styles named after cocktails, such as the sleek Manhattan or the curly Cosmo. Don’t fret if you get addicted: By setting up a “bar tab,” which offers bundles of three ($115), six ($225) or 12 ($440) appointments, you can save $5, $10 or $15, respectively. This salon is perfect for busy New Yorkers because you can get a manicure ($15), pedicure ($35) and an affordable flat-rate blowout ($40) in one go. The hairstyles are named after celebrities with instantly recognizable manes: the Jen (sleek and pin-straight), the Taylor (soft, styled curls) and the Kim (full, dramatic waves), and are executed around a square marble-topped bar. You can also book an appointment online for updos ($75), 10-minute head massages ($10) and deep-conditioning treatments ($10). Inspiration abounds at Gigi Arjomand’s shabby-chic spot, where every station displays an iPad featuring photos of past clients’ styles. Even if you’re a dye-job fiend, the stylists here (we rely on Joshua Carrillo) use sulfate-free, color-safe Bumble and Bumble products to ensure your shade stays vibrant. But if you want to book a half hour blowout appointment, they usually run $40 to $60 a pop. If you thought blowout bars were convenient, check out RPZL (like Rapunzel, get it? 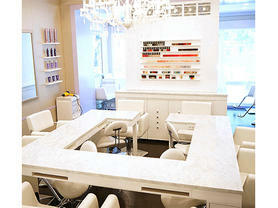 ), the first walk-in express hair-extension salon in NYC. 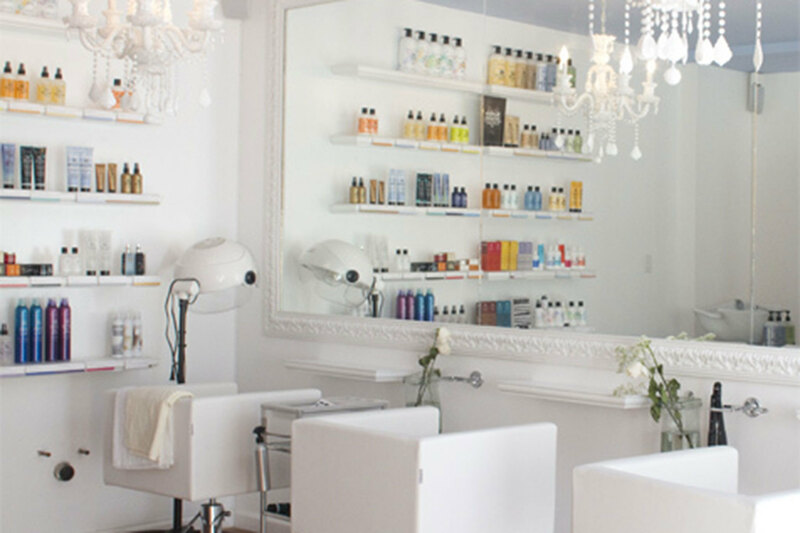 While traditional extensions require a prior consultation to match your hair color and texture, the recently opened spot is fully stocked with every hue and hair type to accommodate off-the-street folk. Clip-ins are $250, but the keratin natural extensions ($550–$850) are the real draw (lasting three to four months). 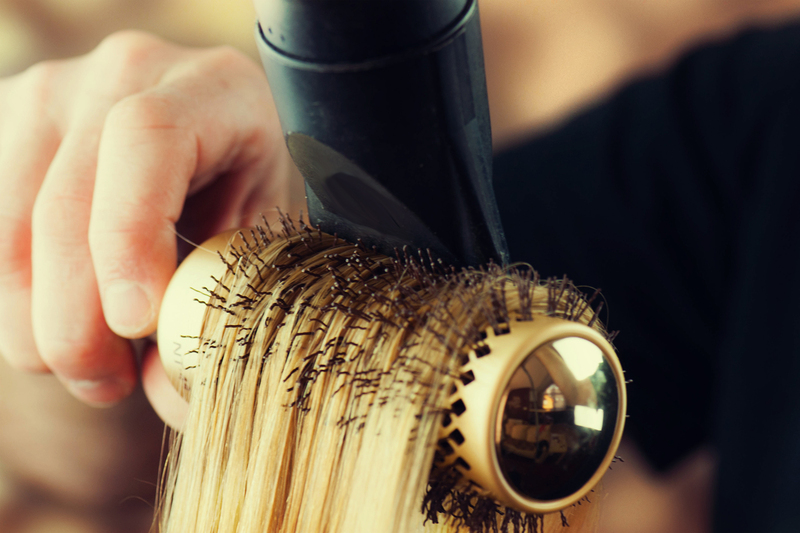 To avoid hair-damaging heat, the salon uses a miniflatiron to melt the keratin glue on an extension (via ultrasound) and bond it to a small piece of hair. Two hours later, your formerly flat tresses will be fabulous. While you shouldn’t expect frills at this 18-year-old Chinatown staple, you can expect a killer blowout for just $12. The relaxing hair-wash and extra-long scalp massage is worth the price alone. Choose a smooth or curly look and the stylist will tend to your tresses for the next hour (she might even add some bounce to your mane and curl your hair free of charge). Note: This salon is cash only.